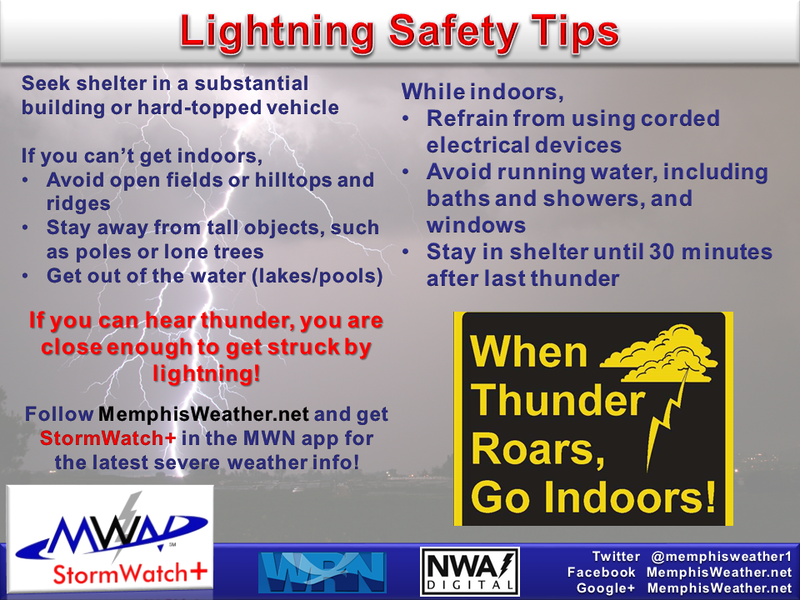 Severe Weather Awareness Week continues with a look at how to stay safe when lightning is nearby. Any lightning safety plan should incorporate the 30/30 rule. The 30/30 rule states people should seek shelter if the flash to bang delay/length of time in seconds between a lightning flash and its subsequent thunder is 30 seconds or less and that they remain under cover until 30 minutes after the final clap of thunder. Move inside a well constructed house, a large building, or an all metal vehicle. Stay away from electrical appliances and do not use a corded telephone (mobile and cordless phones are OK). If you are in a boat, get off the water and into a substantial building, or at least into an enclosed and all-metal vehicle with the windows up. If you're caught in an open metal boat, lie down in the boat with cushions between you and the metal sides and bottom. 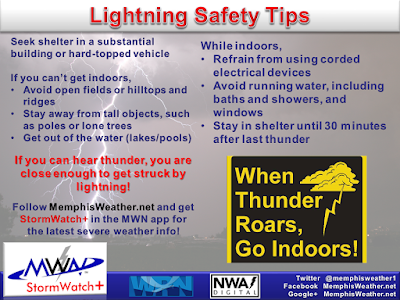 If you are caught outdoors, get down to avoid being the highest point for a lightning discharge. If you're caught in a flat open field or your feel your hail standing on end, crouch down and cover your head with your hands. That way, only your feet will touch the ground. Move away from motorcycles, scooters, golf carts, bicycles, tractors, and other metal farm equipment. Avoid wire fences, clothes lines, metal pipes, drains, railroad tracks, and other metallic objects. Avoid lone trees and the tallest trees. If caught in the woods, pick a small grove of trees as your shelter, and stand at least 5 feet from the trunk of the nearest tree to avoid flying bark if the tree is struck. Avoid standing in a small isolated shed or other small ungrounded structure in other areas. If in a group of people in an open area, spread out before you kneel down. 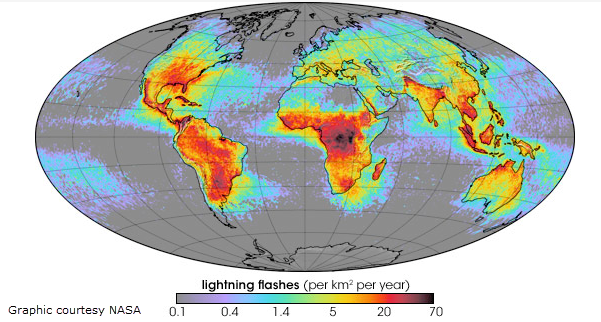 For most weather providers (especially the small fish like us), lightning data is one piece of weather information that can be hard to come by (especially in real-time). There are only a couple of providers of commercial lightning data in the U.S., which makes re-distributing the data cost-prohibitive for all but the largest commercial vendors. 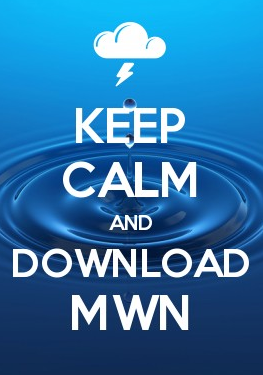 That is why you won't find lightning data on MWN. The colors of the echoes on radar indicate the relative severity of the storm. On StormView Radar, anything colored orange, red, or pink has a fairly high likelihood of containing lightning. As we nowcast on Facebook and Twitter, we'll also be sure to let you know if a storm is electrified so that you may adjust your plans as necessary to maintain your safety. Wet weather and roller coaster temps on the way!